Perhaps the most effective immunosuppressive drugs in routine use are the calcineurin inhibitors, cyclosporine and tacrolimus, which target intracellular signaling pathways induced as a consequence of T-cell-receptor activation. Although they are structurally unrelated and bind to distinct molecular targets, they inhibit normal T-cell signal transduction essentially by the same mechanism (see Figure 52-1). FIGURE 52-1 Mechanisms of action of cyclosporine, tacrolimus, and sirolimus on T cells. Both cyclosporine and tacrolimus bind to immunophilins (cyclophilin and FK506-binding protein [FKBP], respectively), forming a complex that binds the phosphatase calcineurin and inhibits the calcineurin-catalyzed dephosphorylation essential to permit movement of the nuclear factor of activated T cells (NFAT) into the nucleus. In the nucleus, NFAT interacts with transcription factor AP-I (fos/jun), an interaction required for transcription of interleukin-2 (IL-2) and other growth and differentiation-associated cytokines (lymphokines). Sirolimus (rapamycin) works at a later stage in T-cell activation, downstream of the IL-2 receptor. Sirolimus also binds FKBP, but the FKBP-sirolimus complex binds to and inhibits the mammalian target of rapamycin (mTOR), a kinase involved in cell-cycle progression (proliferation). TCR, T-cell receptor. Cyclosporine (cyclosporin A), a cyclic undecapeptide, is produced by the fungus Beauveria nivea. Cyclosporine is lipophilic and highly hydrophobic, and is formulated for clinical administration using castor oil or other strategies to ensure solubilization. Cyclosporine suppresses humoral immunity but is much more effective against T-cell—dependent immune mechanisms that underlie transplant rejection and some forms of autoimmunity. It preferentially inhibits antigen-triggered signal transduction in T lymphocytes, blunting expression of many lymphokines, including IL-2, and the expression of antiapoptotic proteins (Figure 52-1). Cyclosporine also increases expression of transforming growth factor-fi, a potent inhibitor of IL-2-stimulated T-cell proliferation and generation of cytotoxic T lymphocytes (CTL). Disposition and Pharmacokinetics Cyclosporine is administered intravenously or orally. The intravenous preparation (sandimmune Injection) is dissolved in an ethanol-polyoxyethylated castor oil vehicle that must be further diluted in 0.9% NaCl or 5% dextrose solution before injection. The oral dosage forms include soft gelatin capsules and oral solutions. Cyclosporine supplied in the original soft gelatin capsule (sandimmune) is absorbed slowly with 20-50% bioavailability. A modified microemulsion formulation (neoral) has more uniform and slightly increased bioavailability compared to sandimmune and is provided as 25-mg and 100-mg soft gelatin capsules and a 100-mg/mL oral solution. sandimmune and its generics are not the same as neoral and its generics, such that one preparation cannot be substituted for another without risk of inadequate immunosuppression or increased toxicity. Drug monitoring is essential to optimize therapy. Because both radioimmunoassays and highperformance liquid chromatography assays are used, the clinician should ensure that the methods are consistent when monitoring an individual patient. Blood is most conveniently sampled at 2 hours after a dose administration (i.e., C2 levels) rather than prior to dosing. In complex patients with delayed absorption, such as diabetics with gastoparesis, the C2 level may underestimate the peak cyclosporine level obtained; in rapid absorbers, the C2 level may have peaked before the blood sample is drawn. If a patient has clinical signs or symptoms of toxicity or there is unexplained rejection or renal dysfunction, a pharmacokinetic profile (see Chapter 1) can be used to estimate exposure to the drug. Cyclosporine absorption is incomplete following oral administration and varies with the individual patient and the formulation used. The elimination of cyclosporine from the blood is generally biphasic, with a terminal t1/2 of 5-18 hours. After intravenous infusion, clearance is ~5-7 mL/min/kg in adult recipients of renal transplants, but results differ by age and patient populations (e.g., slower in cardiac transplant patients, faster in children). Thus, the intersubject variability is so large that individual monitoring is required. After oral administration of cyclosporine (as neoral), the time to peak blood concentrations is 1.5-2 hours. Administration with food delays and decreases absorption. High- and low-fat meals consumed within 30 minutes of administration decrease the AUC by ~13% and the maximum concentration by 33%. This makes it imperative to individualize dosage regimens for outpatients. Cyclosporine is extensively metabolized in the liver by CYP3A and to a lesser degree by the gastrointestinal (GI) tract and kidneys. Cyclosporine and its metabolites are excreted principally through the bile into the feces. Cyclosporine also is excreted in human milk. in the presence of hepatic dysfunction, dosage adjustments are required. No adjustments generally are necessary for dialysis or renal failure patients. Therapeutic Uses Clinical indications for cyclosporine are kidney, liver, heart, and other organ transplantation; rheumatoid arthritis; and psoriasis. Its use in dermatology is discussed in Chapter 62. Cyclosporine usually is combined with other agents, especially glucocorticoids and either azathio-prine or mycophenolate mofetil, and most recently, sirolimus. The dose of cyclosporine varies, depending on the organ transplanted and the other drugs used in the specific treatment protocol(s). The initial dose generally is not given before the transplant because of the concern about nephrotox-icity. Especially for renal transplant patients, algorithms have been developed to delay cyclosporine introduction until a threshold renal function has been attained. Dosage is guided by signs of rejection (too low a dose), renal or other toxicity (too high a dose), and close monitoring of blood levels. Great care must be taken to differentiate renal toxicity from rejection in kidney transplant patients. ultrasound-guided allograft biopsy is the best way to assess the reason for renal dysfunction. Because adverse reactions have been ascribed more frequently to the intravenous formulation, this route of administration is discontinued as soon as the patient is able to take the drug orally. In rheumatoid arthritis, cyclosporine is used in severe cases that have not responded to methotrexate. Cyclosporine can be combined with methotrexate, but the levels of both drugs must be monitored closely. In psoriasis, cyclosporine is indicated for treatment of adult immunocompe-tent patients with severe and disabling disease for whom other systemic therapies have failed. Because of its mechanism of action, cyclosporine also has been used successfully in inflammatory bowel disease (see Chapter 38). Toxicity The principal adverse reactions to cyclosporine therapy are renal dysfunction, tremor, hirsutism, hypertension, hyperlipidemia, and gum hyperplasia. Hyperuricemia may lead to worsening of gout, increased P-glycoprotein activity, and hypercholesterolemia. Nephrotoxicity occurs in the majority of patients treated and is the major indication for cessation or modification of therapy. Hypertension occurs in ~50% of renal transplant and almost all cardiac transplant patients. Combined use of calcineurin inhibitors and glucocorticoids is particularly diabetogenic, although this apparently is more problematic in patients treated with tacrolimus (see below). 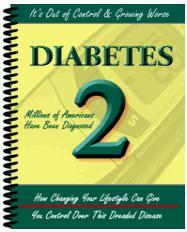 Especially at risk are obese patients, African American or Hispanic recipients, or those with family history of type 2 diabetes or obesity. Cyclosporine, as opposed to tacrolimus, is more Likely to produce elevations in low-density lipoprotein (LDL) cholesterol. Drug Interactions Cyclosporine interacts with a wide variety of commonly used drugs, and close attention must be paid to drug interactions. Any drug that affects microsomal enzymes, especially the CYP3A system, may impact cyclosporine blood concentrations. Substances that inhibit this enzyme can decrease cyclosporine metabolism and increase blood concentrations. These include Ca2+ channel blockers (e.g., verapamil, nicardipine), antifungal agents (e.g., fluconazole, ketoconazole), antibiotics (e.g., erythromycin), glucocorticoids (e.g., methylprednisolone), and HIV-protease inhibitors (e.g., indinavir). Grapefruit and grapefruit juice block CYP3A and the mul-tidrug efflux pump and should be avoided by patients taking cyclosporine because these effects can increase cyclosporine blood concentrations. In contrast, drugs that induce CYP3A activity can increase cyclosporine metabolism and decrease blood concentrations. Such drugs include antibiotics (e.g., nafcillin, rifampin), anticonvulsants (e.g., phenobarbital, phenytoin), and others (e.g., octreotide, ticlopidine). In general, close monitoring of cyclosporine blood levels and the levels of other drugs is required when such combinations are used. Interactions between cyclosporine and sirolimus (see below) have led to the recommendation that administration of the two drugs be separated by time. Sirolimus aggravates cyclosporine-induced renal dysfunction, while cyclosporine increases sirolimus-induced hyperlipidemia and myelosuppression. Other drug interactions of concern include additive nephrotoxicity when cyclosporine is coadministered with nonsteroidal anti-inflammatory drugs and other drugs that cause renal dysfunction; elevation of methotrexate levels when the two drugs are coadministered; and reduced clearance of prednisolone, digoxin, and statins. tacrolimus Tacrolimus (prograf, FK506) is a macrolide antibiotic produced by Strep-tomyces tsukubaensis. Like cyclosporine, tacrolimus inhibits T-cell activation by inhibiting calcineurin. Tacrolimus binds to an intracellular protein, FK506-binding protein-12 (FKBP-12), an immunophilin structurally related to cyclophilin. A complex of tacrolimus-FKBP-12, Ca2+, calmodulin, and calcineurin then forms, and calcineurin phosphatase activity is inhibited. As described for cyclosporine and depicted in Figure 52—1, the inhibition of phosphatase activity prevents dephosphorylation and nuclear translocation of NFAT and inhibits T-cell activation. 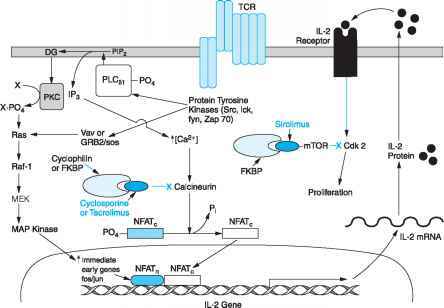 Thus, although the intracellular receptors differ, cyclosporine and tacrolimus target the same pathway for immunosuppression. Tacrolimus is available for oral administration as capsules (0.5, 1, and 5 mg) and as a sterile solution for injection (5 mg/mL). Immunosuppressive activity resides primarily in the parent drug. Because of intersubject variability in pharmacokinetics, individualized dosing is required for optimal therapy. Whole blood, rather than plasma, is the most appropriate sampling compartment to describe tacrolimus pharmacokinetics. For tacrolimus, the trough level seems to correlate better with clinical events than it does for cyclosporine. Target concentrations in many centers are 200-400 ng/mL in the early preoperative period and 100—200 ng/mL 3 months after transplantation. GI absorption is incomplete and variable. Food decreases the rate and extent of absorption. Plasma protein binding of tacrolimus is 75—99%, involving primarily albumin and a1-acid glycoprotein. Tacrolimus is extensively metabolized in the liver by CYP3A, with a t1/2 of ~12 hours; at least some of the metabolites are active. The bulk of excretion of the parent drug and metabolites is in the feces. Tacrolimus is indicated for the prophylaxis of solid-organ allograft rejection in a manner akin to cyclosporine and as rescue therapy in patients with rejection despite "therapeutic" levels of cyclosporine. Dosages are intended to achieve blood trough levels of 5—15-ng/mL. Pediatric patients generally require higher doses than do adults. Nephrotoxicity, neurotoxicity (tremor, headache, motor disturbances, seizures), GI complaints, hypertension, hyperkalemia, hyperglycemia, and diabetes are all associated with tacrolimus use. As with cyclosporine, nephrotoxicity is limiting. Tacrolimus has a negative effect on pancreatic b cells, and glucose intolerance and diabetes mellitus are well-recognized complications of tacrolimus-based immunosuppression. As with other immunosuppressive agents, there is an increased risk of secondary tumors and opportunistic infections. Notably, tacrolimus does not adversely affect uric acid or LDL cholesterol. Because of its potential for nephrotoxicity, tacrolimus blood levels and renal function should be monitored closely, especially when tacrolimus is used with other potentially nephrotoxic drugs. Coadministration with cyclosporine results in additive or synergistic nephrotoxicity; therefore, a delay of at least 24 hours is required when switching a patient from cyclosporine to tacrolimus. Since tacrolimus is metabolized mainly by CYP3A, the potential interactions described above for cyclosporine also apply for tacrolimus. 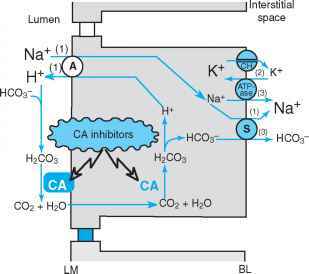 How do calcineurin inhibitors work?